If content marketing stories were movies, most of the ones we hear today would be romantic comedies. Brands all over the world are telling stories of how they overcame obstacles and beat the odds to make their customers fall in love with them. While these stories are inspiring, sometimes content marketing isn’t all flowers and chocolates and happy endings. Sometimes well-intentioned marketers end up in a cabin in the woods, hearing the unmistakable roar of a chainsaw approaching. 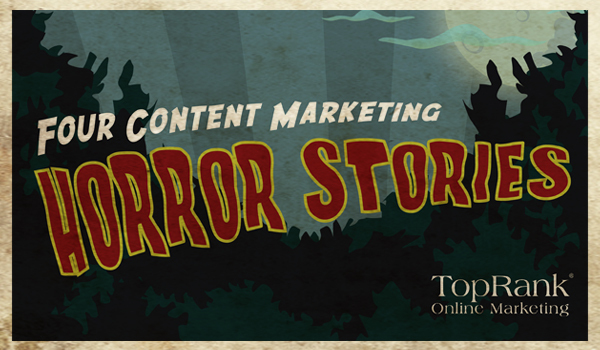 While they’re not pleasant for any marketer to experience, content marketing horror stories can teach valuable lessons. We can learn as much from failure as we do from success–perhaps even more so. Expectations of marketing outcomes from public relations activities are higher than ever. It’s no longer enough to earn media placements, distribute releases and manage a few brand social media profiles. Companies increasingly expect PR to perform with marketing and business impact. PR practitioners and organizations that have not expanded skills to include marketing capabilities are at risk of becoming irrelevant. The good news is that the leap from PR to Marketing convergence is not that far. A great example is our agency, TopRank Marketing, originally founded as Misukanis & Rodgers Public Relations 14 years ago. Early on we made a very important transition from PR to Digital Marketing that has enabled us to bring the best of both worlds to our client work. 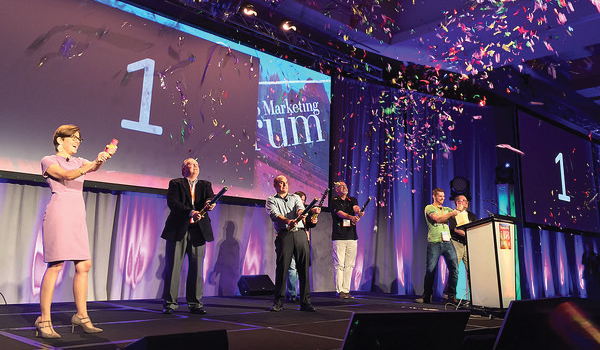 Last week, the amazing Ann Handley and her team at MarketingProfs put on a phenomenal conference for B2B marketers from all over the country. The information, networking, events and even the swag were all top-notch. On the first day, Ann set the stage and asked everyone in attendance to find their squad of other marketers at the event, and to take their work seriously, but not to take themselves too seriously. I’m so thankful to have gotten to know some familiar faces a little bit better, and to make some new fast friends in a short amount of time. This great conference inspired me to share what I thought were the top takeaways and words of wisdom from the speakers for those of you that weren’t able to attend. Time and time again, B2B marketers have heard, “Facebook doesn’t work for B2B”. That statement could not be further from the truth. What B2B marketers should ask themselves is; am I truly engaging my Facebook audience by sharing things they want to see and interact with? Facebook can be an incredibly powerful tool, if used correctly. In fact SteamFeed found that 60% of all social media traffic to B2B websites comes from Facebook, Twitter and LinkedIn. 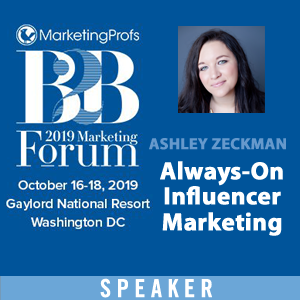 So, there is proof that Facebook for B2B marketers works, but now it’s time to figure out how to create better engagement and make more meaningful connections. 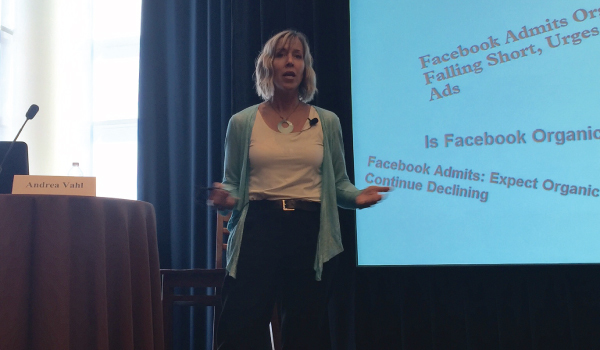 Last week at MarketingProfs B2B Marketing Forum, Andrea Vahl took the stage and shared some fantastic insights into how B2B brands can improve visibility, track leads and improve Facebook Ad targeting. Below are some of her best insights. 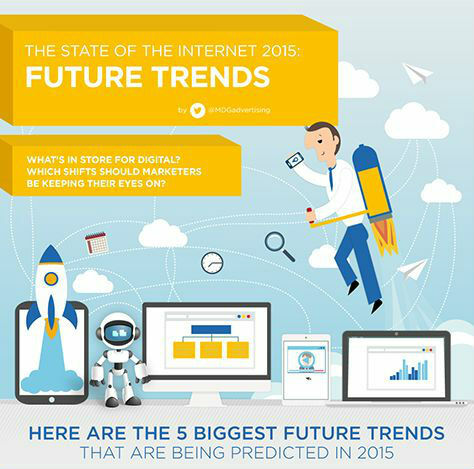 Social media has evolved significantly in the past six years. At the beginning, businesses focused solely on just having a presence on social media. Then, brands beginning honing in on social listening and figuring out the “science” of a good social media campaign. Marketers then realized that social media was a great tool not only to engage their audience, but a prime opportunity to amplify their content and draw even more people in to consume, engage with and share that content. Recent studies have found that social networking accounts for 30% of all time spent online. 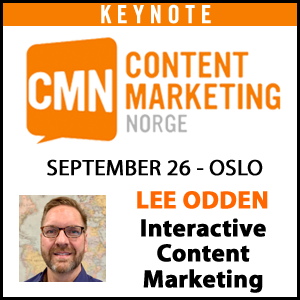 The bar for great B2B content marketing is being raised since brands have become publishers and no longer need to rely on traditional media sources for exposure. Unfortunately, budgets and resources don’t always match the required output. Not many B2B marketers realistically have the budget to hire journalists to compete with industry publications. Even those that do, are still struggling to create engaging content on a consistent basis, improve content effectiveness and provide a variety of content. The wisdom of your community is a bank rich with useful marketing content and can help scale a B2B content marketing program. 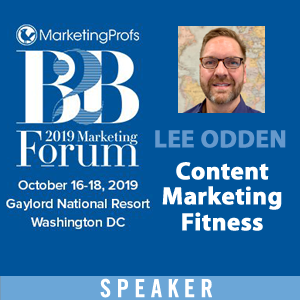 In his session at MarketingProfs B2B Marketing Forum, TopRank CEO Lee Odden made the case for why adding participation to your content can help solve the problems above, and three examples of content co-creation in action. While B2B marketing KPIs such as views, shares and impressions are important in helping to determine your digital marketing strategy, conversions will always be more important. You have to provide enough value to encourage people to click on your content, and then once they reach your destination, you have to convince them again that it is worth providing their contact information. 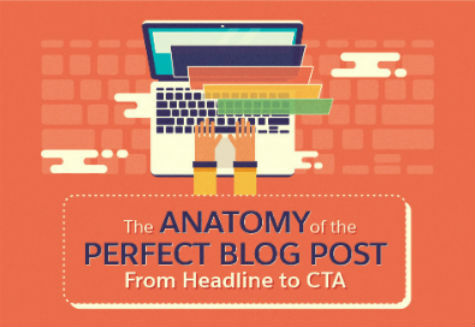 Landing pages can be an incredibly powerful tool for moving prospects through the sales process but they are not all created equal. 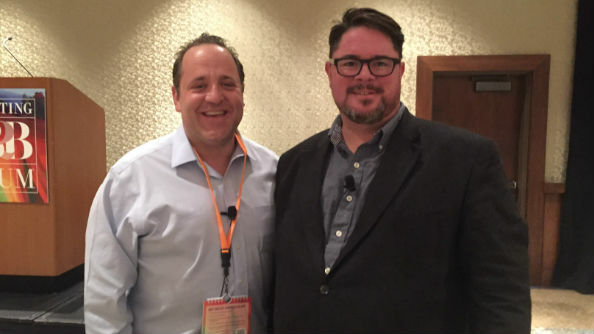 Oli Gardner of Unbounce provided an incredibly amount of information on the four corners of conversion for landing pages in his presentation at MarketingProfs B2B Marketing Forum. 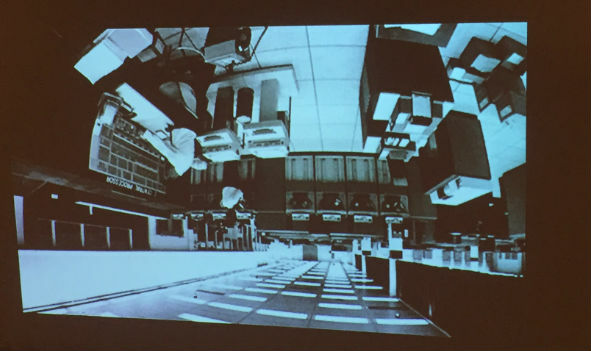 If you ask most people what they think a mainframe is, most will likely get visions of black and white photos of antiquated computers housed in an IBM backroom. 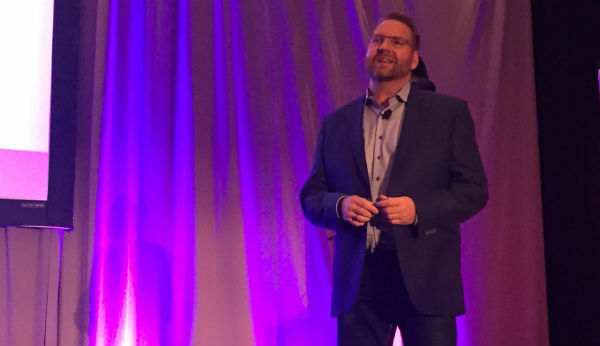 As the Vice President of Z Systems Marketing for IBM, it’s Deon Newman’s job to change that perception. 80% of all corporate data resides or originates on mainframes. 55% of all enterprise applications need a mainframe to complete transactions. 30 billion business transactions are processed on mainframes every day. This quote was the basis for Avinash Kaushik’s opening keynote at MarketingProf’s B2B Marketing Forum. 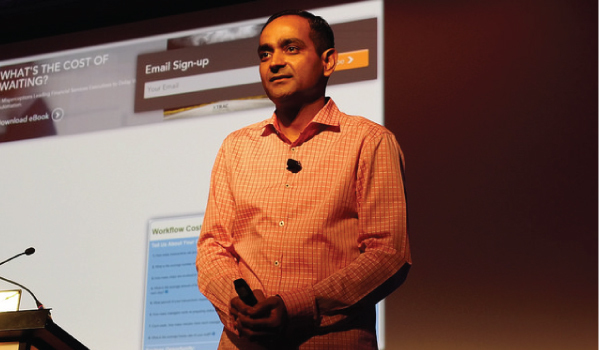 For those of you that don’t know, Avinash is a Digital Marketing Evangelist at Google and best-selling author. According to Avinash, the difference between companies that will be great and those that will die (either quickly or slowly) are the ones that understand how to obsess about the think. Thinking about how your company can connect with people and execute process and structure will make you masters of marketing. Below are some of the many highlights from his entertaining, informational and inspiring keynote. Every industry experiences evolutions. For some it’s hundreds of years before innovations are made, whereas others change in the blink of an eye. Like a well timed magic trick, one minute you see something, and the next minute it’s completely transformed. Digital marketing is one of those industries that is always on the cusp of something new and exciting. Personally, that is one of my favorite parts of working at an agency like TopRank Marketing. Each day is an adventure with exciting new things to learn. Many digital marketers today seem to think that they’ve nailed making marketing magic, but have they really? There are some that in my opinion are constantly making magic (Michael Brenner, Ann Handley and Lee Odden to name a few), while the vast majority are just trying to keep up.